How Does Comparative Negligence Work in Idaho? When you have been injured in an accident due to the fault of someone else, you can file a personal injury lawsuit seeking financial compensation from the negligent party. While this sounds straightforward, it often isn’t. If you had some responsibility for the accident, things become quite a bit more complicated. This is where the concept of comparative negligence comes into play, and it can impact the amount of money you will receive—or if you will receive compensation at all. State law dictates how the concept of negligence is applied to personal injury lawsuits. In Idaho, all involved parties can be found partially to blame for an accident, but this doesn’t necessarily prevent damages from being sought and received. In essence, the party receiving financial compensation will be the one found to be less at-fault. For example, if you were found to be 48 percent responsible and the other party was 52 percent responsible, you can still recover financial damages. When your personal injury case goes to trial, we will present a strong argument supported by evidence and witnesses that demonstrates the other party’s negligence and why you deserve financial compensation. With comparative negligence, the jury will determine what percentage of fault to assign each party involved in the accident. They may find that one party was 100 percent negligent, but in most cases, some level of fault will be assigned to each party. For example, if you were in a car accident and the other driver hit you, he or she may bear the majority of the responsibility. However, if you were speeding at the time, you could be found partially to blame, as well. In another example, if you fell in a school building due to a stairwell railing being loose, fault would need to be determined. On the surface, the school might appear fully responsible, but if they can prove that you were going down the stairs too quickly, a jury may assign a small percentage of negligence to you. As an example, if your case is worth $30,000 and you were assigned 10 percent of the negligence, your portion of the settlement would be reduced by that same percentage. In the end, you would receive $27,000. In this same scenario, you could recover damages as long as you were 49 percent or less at fault and someone else was 51 percent or more at fault. This makes it critical to hire a personal injury attorney who can prove that the other party was more at fault for your accident than you were. 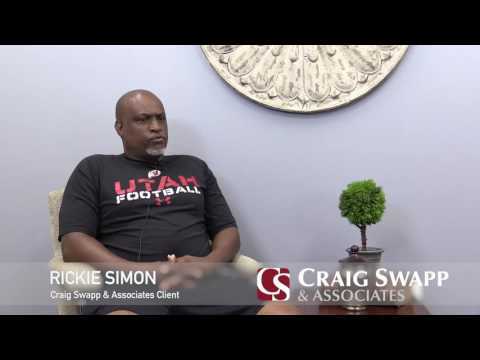 To discuss the details of your case and find out what it might be worth, call 1-800-404-9000 or complete the form below to schedule a free consultation with Craig Swapp & Associates.